We’ve Heard Plenty From Wall Street, Isn’t It Time for Some Main Street? Even The New York Times is figuring out that austerity isn't working. Ed Schultz could have told them that years ago. That’s headline news in the nation’s newspaper of record. But Ed Schultz could have told you that a couple years ago. That’s because Ed consults with the folks who really understand the economy: the working men and women who do their research on Main Street—as opposed to Wall Street. I’ve known Ed since he was making his name as a populist radio host, broadcasting out of Fargo, North Dakota, on a handful of small stations. 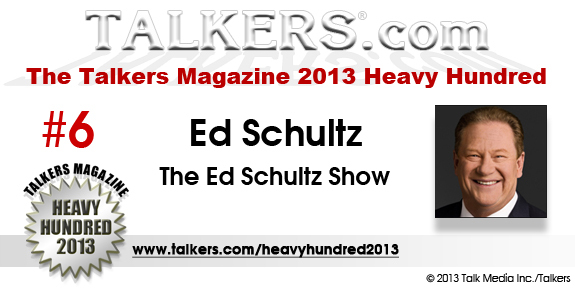 He is now consistently ranked by Talkers magazine as one of the ten most important talk radio hosts in America. 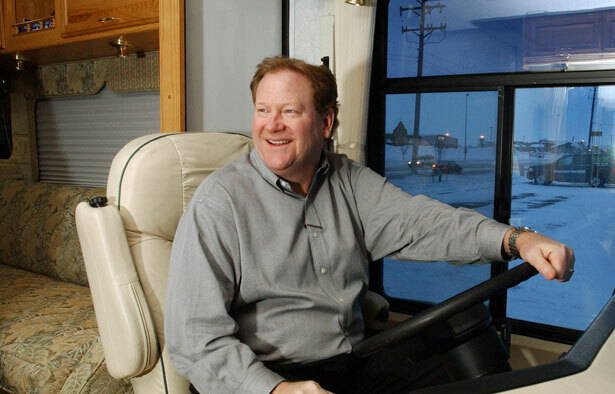 Ed built his national following on the strength of what he referred to as “straight talk from the heartland.” And he remains distinct from most other hosts in that he’s still rooted in the upper Midwest, not just as a proud Minnesotan but as a host who is genuinely interested in what the whole of America is talking about. When Ed joined the MSNBC cable television network, he kept doing his radio show—an uncommon move in an industry that tends to focus on television gigs. Ed wanted to keep talking with people across the country, especially the listeners in what media insiders on the East and West coasts deride as the “flyover country” between New York and Los Angeles. As he has moved through various time slots and hosting duties with the cable network, Schultz has had more demands on him. Yet he has always kept the radio show, doing three hours a day, when other cable hosts were, for the most part, focused solely on television. Ed never wanted to lose the connection to the working people who formed his base of listeners: the farmer in North Dakota, the factory worker in Illinois, the snowplow driver in Minnesota, the teacher in Wisconsin. As his prominence has grown, that base has expanded to include the baggage handler at LaGuardia, the taxi driver in Washington, the small business owner in Denver, the retiree in the Florida panhandle. When I do Ed’s radio show, I am always struck by the calls—from all those listeners, in all those small towns and cities across the country. No matter what the issue of the moment might be, they tend to remain focused on fundamental economic concerns. Washington spin doesn’t sway them: They’ve got no taste for “grand bargains” that would cut Social Security cost-of-living increases with a chained CPI scheme. They know Paul Ryan’s austerity economics don’t add up. The listeners care, a lot, about grassroots struggles for jobs and the rights of working people. And they’re enthusiastic about Ed’s talk of using his new weekend gig on MSNBC to tell more of their stories. But he’s not doing them a favor. He is adding an essential element to a national discourse that is being overwhelmed by the false prophets of austerity. The new weekend show debuts at 5 pm EST Saturday. And the plan is to do a lot more of what he did in 2011 and 2012, when he took his show on the road to Freeport, Illinois; Des Moines, Iowa; Toledo and Columbus, Ohio; and Madison, Wisconsin, to tell about the real-life struggles of working Americans. The weeknight slot that Ed occupied until March is now filled by Chris Hayes, a friend and colleague of mine from The Nation. Over the past year, Chris has used a Saturday and Sunday morning program on MSNBC to break a lot of new ground. I’ve been a frequent guest with Chris and I’ve enjoyed the way he’s upended the conventional wisdom regarding political talk on cable—we recently had a smart, civil discussion featuring a progressive, a liberal, a moderate and a conservative on the necessity of renewing the Republican Party. Chris is continuing to push boundaries, and that’s exciting. But, as someone who has long argued that major media neglect the stories of the great mass of working Americans, I’m particularly appreciative of Ed Schultz’s ideas for making his new weekend show a forum for discussing what’s really going on with the American economy. Ed’s talking about using his program to highlight stories from across the country—many of them from town hall gatherings, like the one he hosted May 2 at the Barrymore Theatre in Madison. Prime-time shows tend to follow a relatively well-defined format, with tight segments that focus on the latest twists and turns in Washington. But Ed’s great skill as a broadcaster has always been his ability to recognize and communicate the stories of working Americans. He will have a lot more freedom to do that on the weekend. And he’ll also be well positioned on his Sunday show to rip apart the spin that the DC insiders peddle on the Sunday morning talk shows. Cable television is not an exact science. But one thing should be clear: There are enough hours in the day and week for many voices. The voice Ed Schultz has perfected on a populist radio program, and that he has brought to cable programs that have followed stories to locations far from New York and Washington, amplifies the stories that don’t otherwise get told: those of working families struggling to keep factories open, union members rallying for collective bargaining rights, urban Americans fighting “emergency manager” takeovers of local government, rural Americans fighting to keep post offices open. Now Ed’s talking about using that voice to bring to television more of the conversations with working Americans, struggling Americans, active and engaged Americans. To the extent that Ed Schultz succeeds in challenging the manufactured assumptions of Wall Street and official Washington, he’ll contribute mightily not just to the evolving definition of cable TV but to a national discourse that desperately needs to hear more from America. Why does the press still take the Heritage Foundation seriously? Read Eric Alterman and Reed Richardson's take.